Since Sitecore 8 came out, there is no longer an option on the indexing manager to rebuild sitecore analytics Index. Since Sitecore 8 came out, there is no longer an option to re-build the analytics index in the indexing manager. And it was done for a reason. At the moment, Sitecore says that you can re-build the analytics index by doing the rebuild of reporting database as described here. Also, there are discussions around it in the community and there is a blog post of Adam Conn which suggests a way for re-building the analytics index by putting into aggregation queue all existing visits from the collection database. However, this way is still not something you want to do. As described here, this code will result in an attempt to re-aggregate all interaction data to the Reporting database. That will lead to incorrect reporting numbers, aggregation exceptions, will still put approximately the same load on your Sitecore installation as a full Reporting DB rebuild. On one of my projects, I have quite a huge amount of contacts and their interactions. There is an integration from a third-party CRM system that syncs customer data into xDB as contacts. 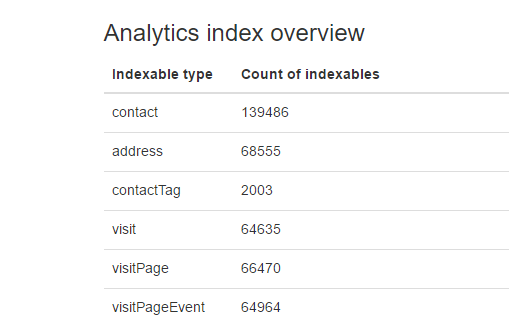 The Sitecore analytics index updates when the contact visit ends so for those contacts that are synced but never visited the site there is no data in the index. In my case this leads to List Manager giving not all contacts in segmented lists which our customer heavily uses for email-marketing. I have tried to rebuild the reporting database and left it for a night to process. It was performing for around 9 hours and did not process even half of it. So apparently this is not the option for us. So I really needed a tool that can re-index contacts after each data sync from third-party CRM. And here is what I implemented – Helpfulcore.AnalyticsIndexBuilder – a module that installs new Sitecore admin page which can be found by path /sitecore/admin/analyticsindexbuilder.aspx. You have corrupted the analytics index or by some reason your indexed data have been lost. Or you can find a Sitecore module on the Sitecore Market Place with name Helpfulcore.AnalyticsIndexBuilder (coming soon). Built and tested on Sitecore CMS 8.2 rev 160729 (initial release) and SOLR content search provider. 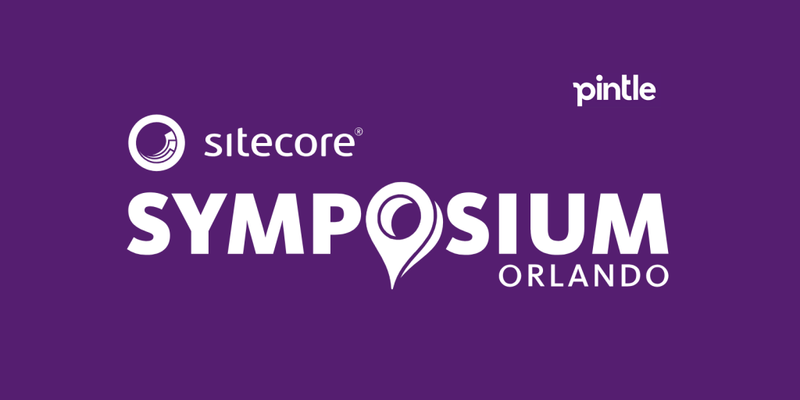 Supposed to work on any Sitecore CMS 8.x and later as well as on both SOLR and Lucene content search providers. 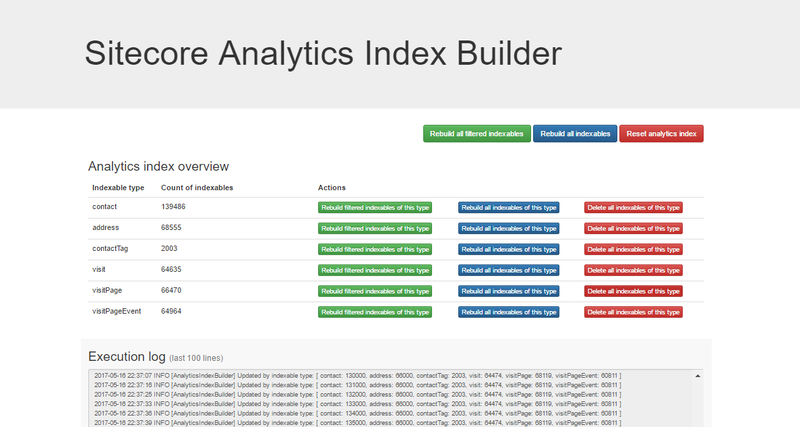 The new admin page /sitecore/admin/analyticsindexbuilder.aspx shows the analytics index content overview with count of each indexable type currently present in the index. By default, there is a filter for this action set to use only known contacts (contacts that have not empty identifier). Filtering can be extended or replaced using include configuration file (look at config file). There is a brief functionality legend at the bottom of new admin page /sitecore/admin/analyticsindexbuilder.aspx. All methods are performance-optimized and use multiple threads for re-building indexables. All public methods are xml-documented so you can see information on what each particular method does. The analytics index is updated in batches and there is a batch size parameter in the configuration file, by default it is set to 1000. There is an option to use the API provided by the module in your code. The primary object is AnalyticsIndexBuilder class. // this will re-index 'contact', 'contactTag' and 'address' indexable types for specified contacts.